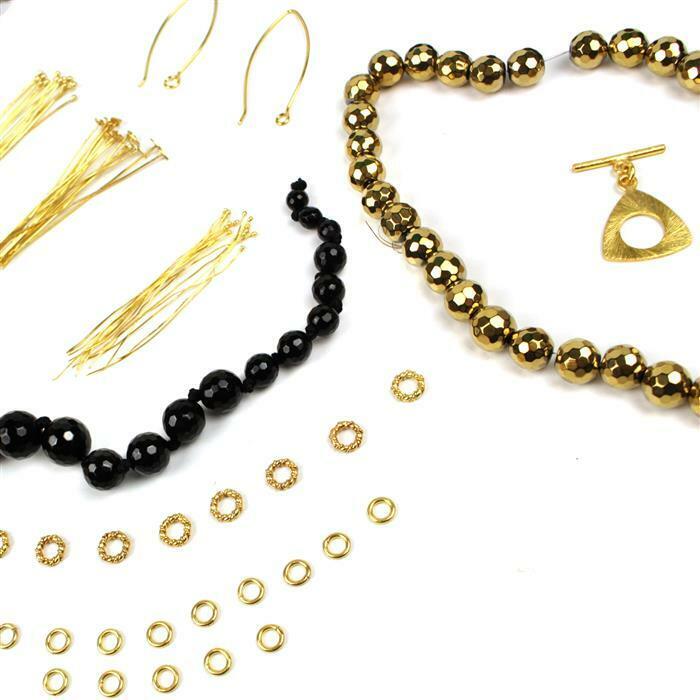 Create fabulous jewellery with this essential Starter Kit from JewelleryMaker, it's so easy! This kit includes our essential Jewellery Making tool kit, so get started making your own set of earrings, necklace and bracelet today. 280cts Black Agate Graduated Faceted Rounds Approx From 6 to 15mm, 43cm Strand. 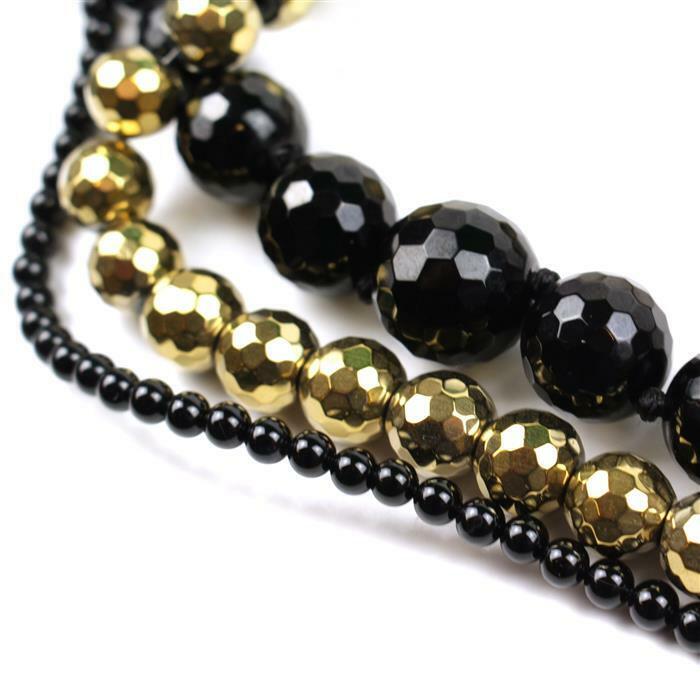 440cts Golden Colour Coated Haematite Faceted Rounds Approx 9mm, 38cm Strand. Gold Plated Copper Essential Finding Kit Organza Bag, Approx 118 Pcs.